FreeFileSync is an open source folder comparison and synchronization tool for Windows, Linux, and Mac OS X. It's designed to save your time setting up and running backup jobs while having nice visual feedback along the way. FreeFileSync also supports portable installation onto USB memory sticks or external hard drives. 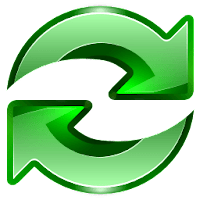 Note: FreeFileSync is available in a "Donation Edition" with bonus features: ad-free installation, auto-updater and portable zip package. Disclaimer: Direct downloads for the lastest version of FreeFileSync 9.3 are provided by the official software's author, we can't guarantee safety, availability or download speed. Moreover, we don't and we won't provide any pirated/illegal versions or tools. We recommend you to avoid it as these methods can harm your device. If you like the software, buy it to support the developers. (We provide software discounts for many worldwide brands).